Find a vacation home to rent in Vinci from our list of vacation rental properties. Campaya has over 29 vacation homes available in Vinci, which give you the possibility to locate a unique accommodation in Vinci which completes your check-list in search for the perfect self catering vacation apartments in Vinci or vacation villas in Vinci. Pretty part of a two-family house from the19. Century located in the Florentine hills, in a quiet panoramic position. Enjoy a pleasant stay in Vinci, in this independent, cosy and romantic cottage, reading a book in the private garden and dining alfresco in the cool veranda. 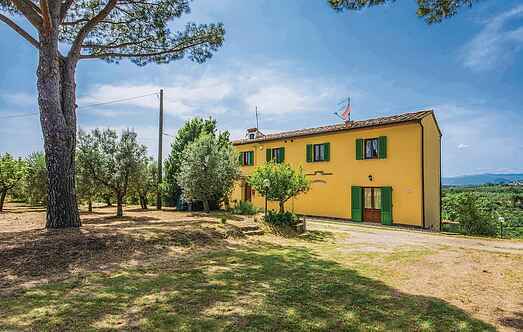 Beautiful stone-built farmhouse from the early 18th century, recently renovated with great care and set within a beautiful hilly landscape near Vinci.